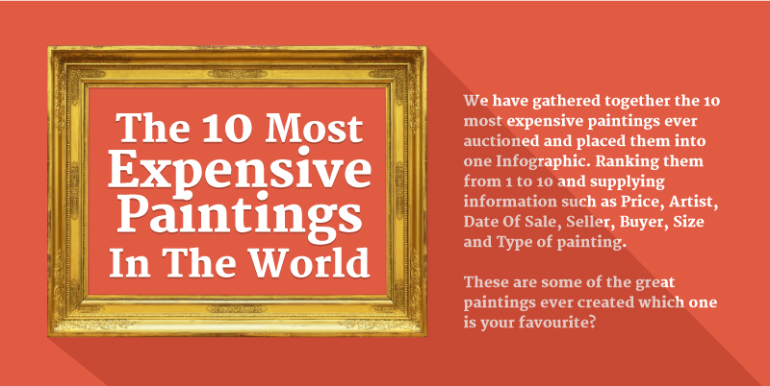 The infographic shows details of the ten most expensive paintings ever sold. It contains information about each painting including price, artist, buyer, seller and other information about the painting. The infographic lists two prices, the price the painting sold for and the adjusted value for today which for some paintings shows a huge increase in value.